Body Buildo is the first protein supplements to have a blend of ayurvedic herbs with special formulations. It is a Whey Protein-based product which also includes various added vitamins and minerals. 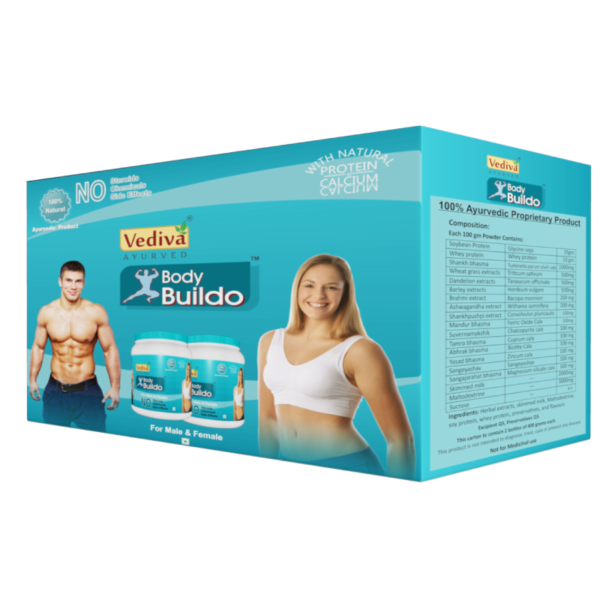 With a well-balanced formulation and total natural ingredients imported from different parts of our country, Body Buildo is a complete package which provides you guidance, support, and motivation to help you build a better body. 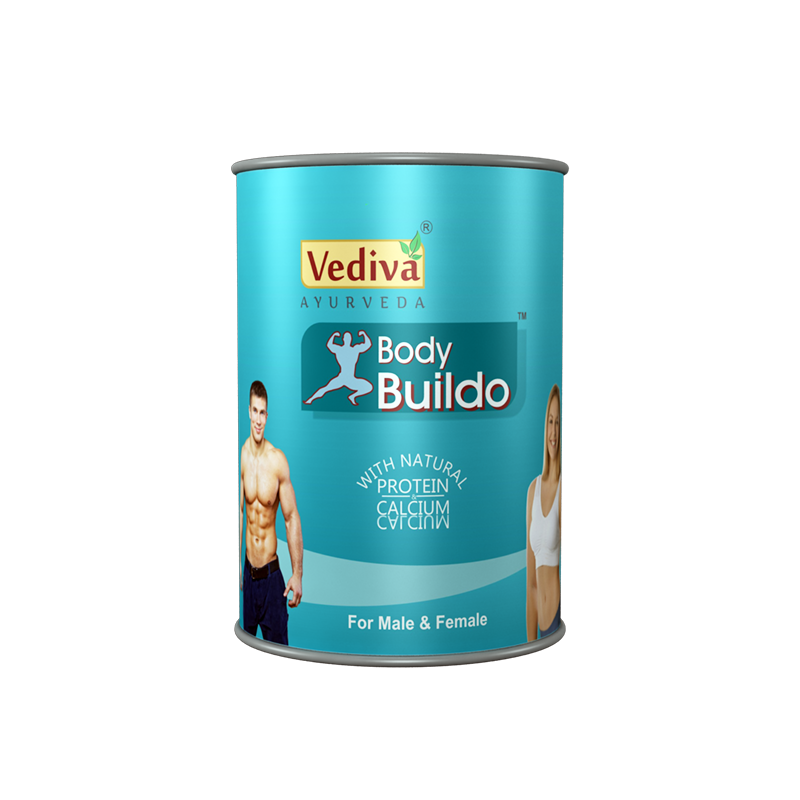 Body Buildo Powder consists of Ayurvedic herbs & Whey protein that helps balance hormones naturally. The amino acids that are required for muscle building, diminishing muscle to fat ratio and gives better growth. Amid going to the gym, the body quits building new proteins and the breakdown of protein increases. After the gym session, the working of muscles begins to happen, and protein breakdown diminishes. It is around this time, you have to supply your body with fundamental amino acids to help expand the muscle-building process and lessen protein breakdown. Post-exercise is the time when you require whey protein at the satisfactory amount. The amino acids introduced in the protein advances to most extreme muscle development and at a quicker rate. It gets the protein to repair tissue and muscle breakdown and helps in to build new ones. Body Buildo comprises of minerals, vitamins, and other valuable fixings that assist in enhancing the immune system helps in getting more fit, keeps up high energy levels and have a fit body. Boosts Immunity: Lifting weights require a high amount of energy which might impact your joints, muscle tissue, and bone health. To prevent these side effect. Body Buildo boost your immunity and enable your body to naturally increase your ability to lift weights without going through serious physical issues. 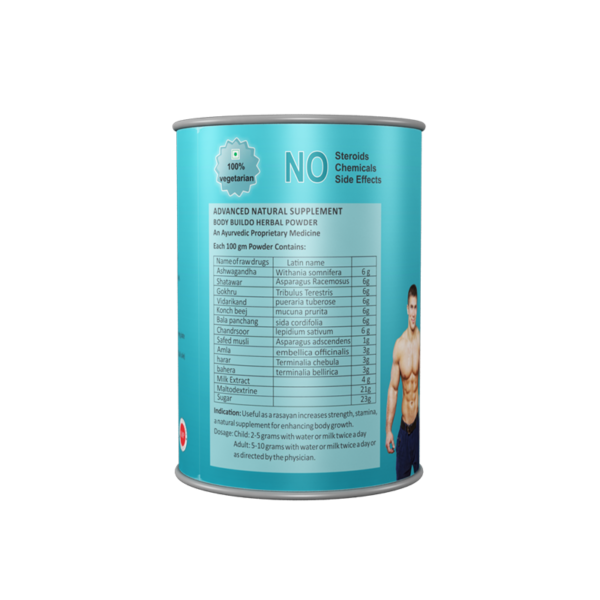 Prevents Muscle breakdown: Body Buildo gets ingested into the circulatory system and consequently helps protein digest, i.e, avoids muscle breakage. Deficiency of protein may reduce blood circulation in your body which might lead to muscle breakdown. Body Buildo provides enough protein to your body which prevents muscle breakdown. Manage Hunger and Cravings: Starving for muscle building exercises isn’t perfect, particularly when the body consumes fat at a fast rate. Hunger is felt because of the emission of ghrelin which may add to food cravings. Fat loss: Since Body Buildo is free from fat, cholesterol, and calorie, it can reduce calories content in your intake. With Body Buildo you can gain muscles and burn your fat quickly. 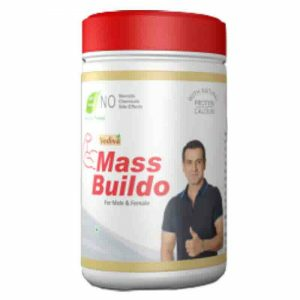 Increase Muscle Mass and Repair: Body Buildo enables you to take out fat from your diet while adjusting it with pure and ayurvedic protein. Bulk Body is gained with months of exercise and Body Buildo critically guides muscle repair post-exercise. While you work out, taking Body Buildo an hour before and after exercising will result in building muscle size and accordingly force and quality. How does Body Buildo Powder Work? Firstly, Body Buildo gives protein and amino acids, which assists in bodybuilding and increase muscle development. It develops anabolic hormones that can reinforce muscle development, for example, Insulin. It is high in the amino corrosive Leucine, which is known to invigorate muscle protein blend at the atomic and hereditary level. Body Buildo is ingested and used immediately as compared to other kinds of protein available in the market. 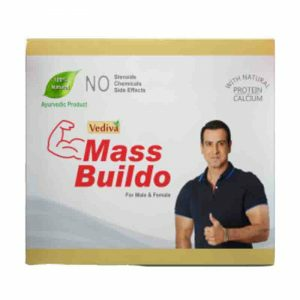 How to Use Body Buildo for Best Result? Our expert team suggested that whey protein ought to be consumed twice every day, firstly at 15-20 minutes before your workout session and second within next 30 minutes after the workout. As this will help to build new muscle and decrease the fat content in your body. Take Body buildo at the beginning of the day as this will stop muscle breakdown and build new muscles in your body. In addition to that, it will reduce fat content in your body. Blend two teaspoons of Body Buildo with 250ml of milk or water. To have no lumps present, shake well before use. In case if you need it chilled, simply include a couple of ice blocks. Close the bottle or Sipper after each utilization. Children – 2 to 5 gms with milk or water twice per day. Grown-ups – 5 to 10 gms with milk or water twice per day or as prescribed by the doctor. Whey Protein: In the bodybuilding world, it is generally known as a key protein source which grows muscles mass. It increases muscle strength and capacity to perform weight training. Soya Protein: Soya protein digest slower than whey protein, it keeps a steady flow of protein to your muscles. In addition to its digestion speed, soy offers numerous other minerals and vitamins that promote muscle growth. Ashwagandha: It helps to increase the strength of your immune system which enhances your ability to perform weight exercise. It also elevates white blood cell counts which enhance your stamina. Shankhpushpi: Since protein takes more time to digest, it is an ideal herb to improve digestion system in your body. It also helps to reduce stress and anxiety and increase muscle strength. Shatavari: Shatavari is very popular among bodybuilders. It helps to repair damage cells and it is very rich with antioxidants. It contains various vitamins like A, C, E, and K.
Body Buildo comes in a box which contains 2 bottles of 300 grams each. To get the best result, Our expert team suggests to use it for at least 3 months. Precaution : In case, you are suffering from any critical disease please refer to a medical expert before consuming the product. first time trying this product. Using body buildo since 22 days. Decent results so far. tried for 3 months ……..
delivery rate is high but they delivered to my place on time. 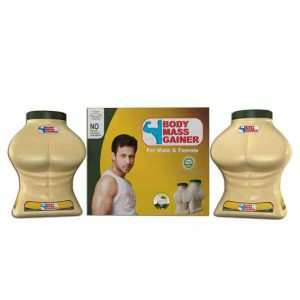 I have been using this product since 3 months, Earlier my weight was 58 kg, now its 70 kg. Daily exercise and workout along with Body Buildo will give you maximum result. I am going to order it for next 3 month course. Great protein-rich product. Body buildo definitely useful for gaining weight. Because otherwise it is not possible to have so much of protein through other food. Body Buildo powder is one of the best and amazing product i used by far. Powder is enriched with goodness of ayurvedic herb. It has many different benefits like your digestion increases, body fat reduces and tighten your skin. A recommended product for all the men out there.weight increased by 10 kgs. Healthy yet tasty!! I was going to Gym regularly but my weight was not increasing and muscles were not coming up as expected. Tried Body Buildo based upon friends suggestion. Its slow but it works. If you are thinking for an muscle gainer..go for it.I used it .And the results are just awesome..But it will be effective only when u take perfect diet and training.. drink as much water u can .I take it in morning in milk and as an post workout in water…it is effective …go for it.. Delivered on time.. Taste is good, but too early to review for the effect… But still beginners can try. Delivery on time. Genuine product. Packing was not good but overall product is awesome. Let’s see the Changes. I recommend to buy it because it is the Ayurvedic form of protein for beginners !! Really writing this after using a week. effective if u use as a preworkout at least for me…….no side effect grt pump and yet to discover more…..
Good and no side effects…worth for prise. worked for me, i am taking it daily with milk before workout . feel pumped and energetic. happy to find it. i ordered this before my college life begin and happy on that decision. i got criticized a lot during my school days for being extra thin but now it’s different. amazing products. i order this for me and my son, working differently on both us. maybe it’s age that he is getting fast results but i am happy that there is product for people at my age.